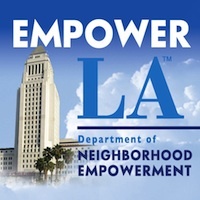 The Summer Night Lights program is a public and private partnership undertaken by the City of Los Angeles Mayor’s Office of Gang Reduction & Youth Development (GRYD) and The GRYD Foundation. Summer Night Lights is part of the GRYD Comprehensive Strategy, which is directed at strengthening community resiliency to the influence of gangs and gang violence. The program keeps recreation centers and parks open and expands the menu of activities at each site beyond what is traditionally offered, bringing sports, arts and recreational activities, resource fairs, health screenings, workshops, jobs, and connections to resources that residents can utilize year round. To apply for the Office Coordinator, Arts Coordinator, or Regional Assistant positions, click here and to apply for the Site Coordinator position, click here. For more information, go to www.grydfoundation.org.